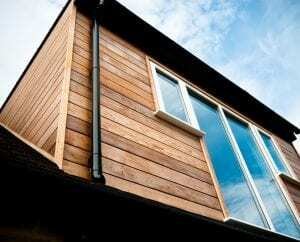 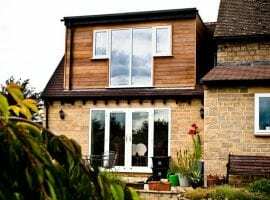 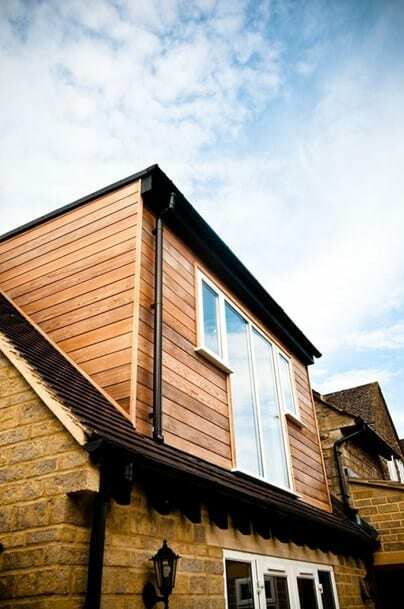 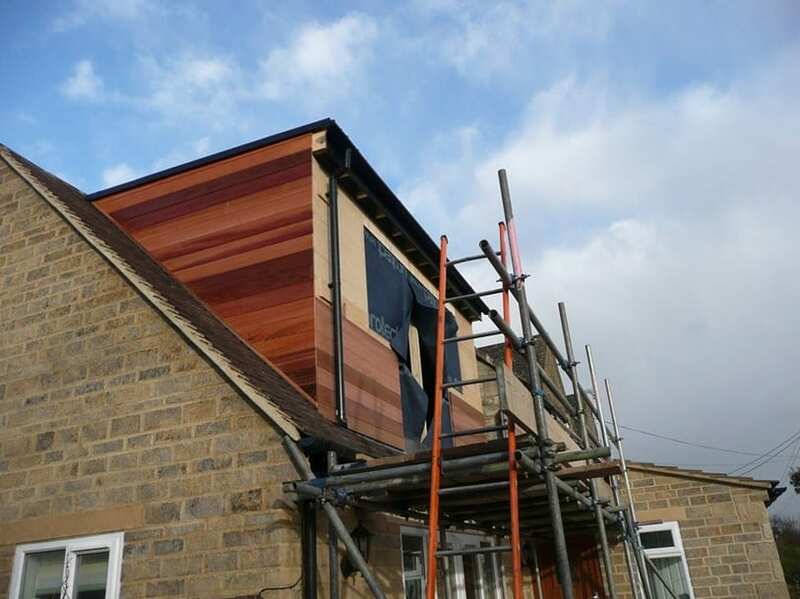 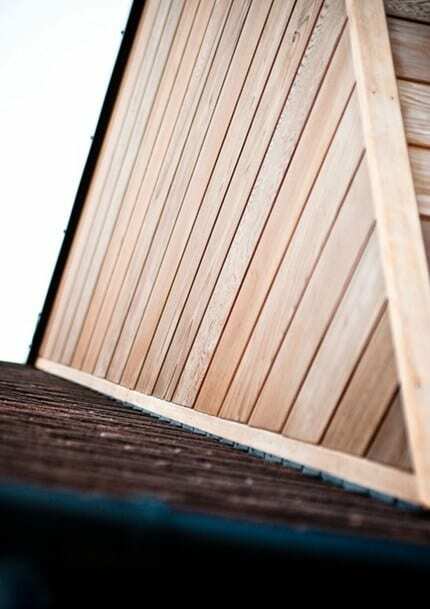 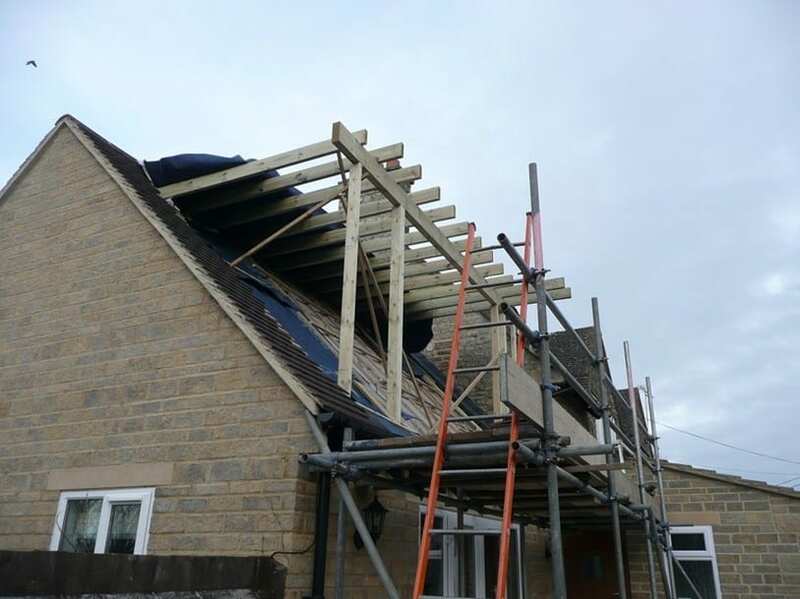 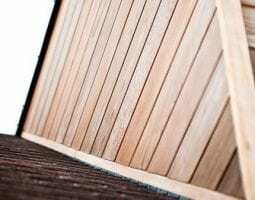 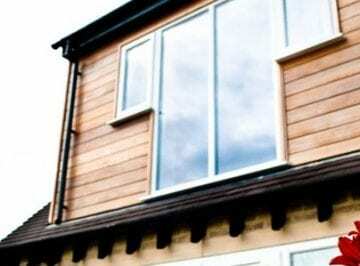 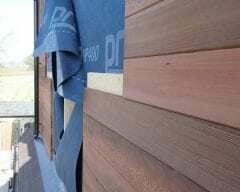 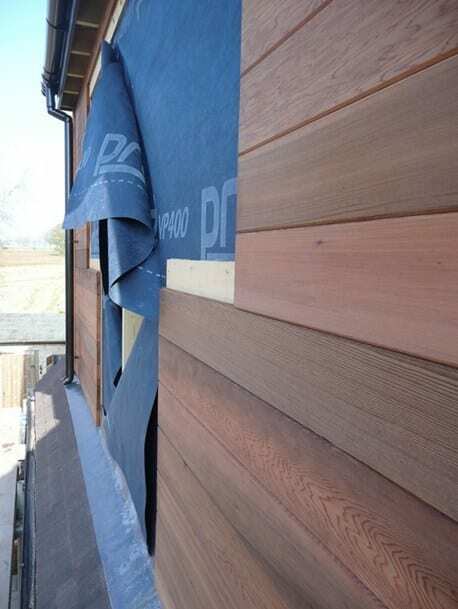 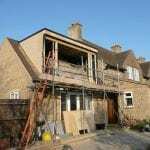 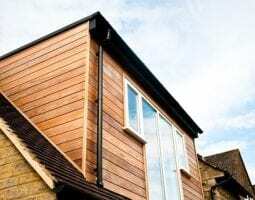 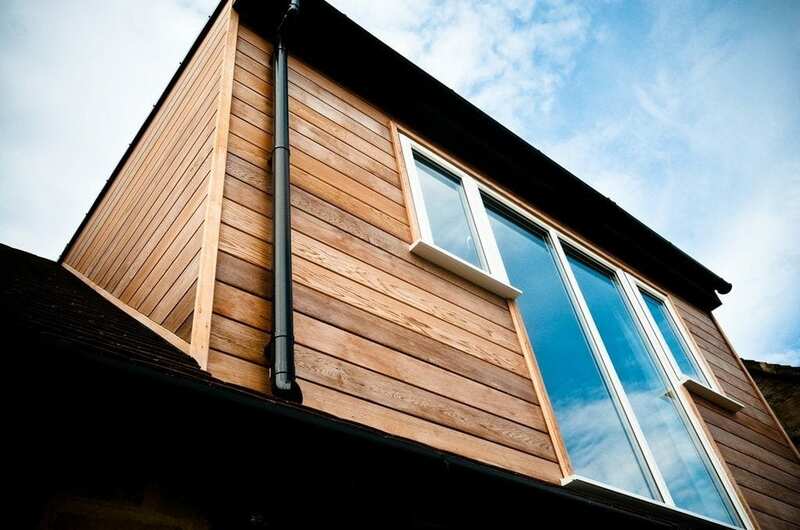 This is a flat roofed, timber framed dormer window clad in Western Red Cedar boards. The work to this Oxfordshire property transformed an unusable loft room into a generous master bedroom. 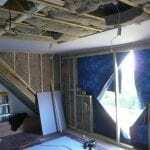 For internal photographs please see next project, ‘Oak Fitted Wardrobes’. 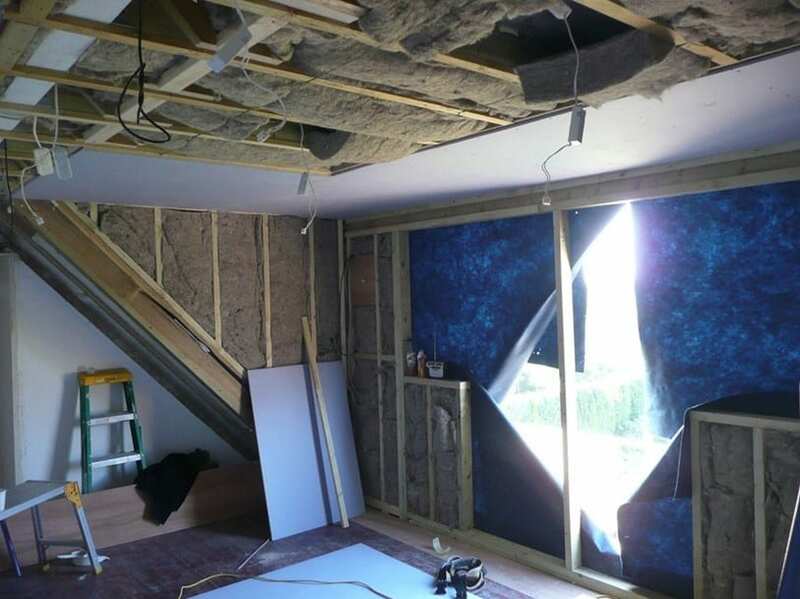 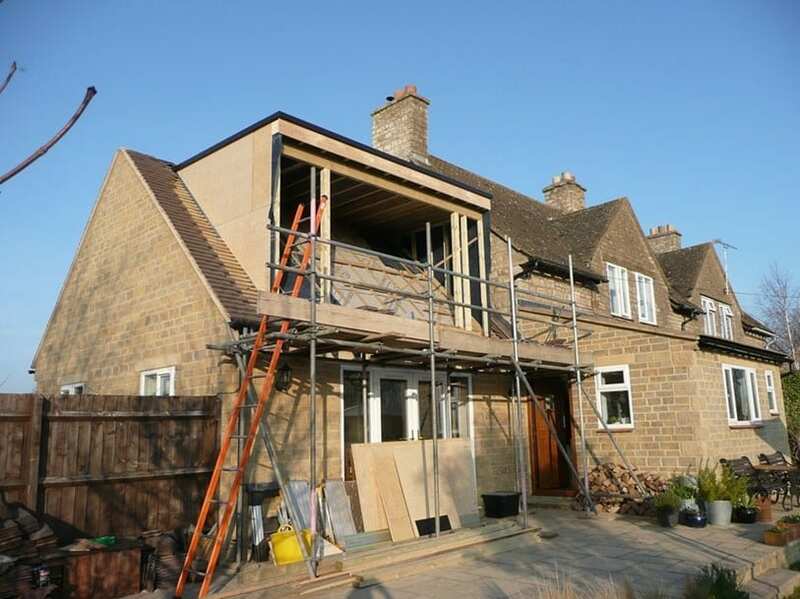 Noise reduction was a high value in the construction, which resulted in the use of sound absorbing recycled wool insulation and sound deadening plasterboard. 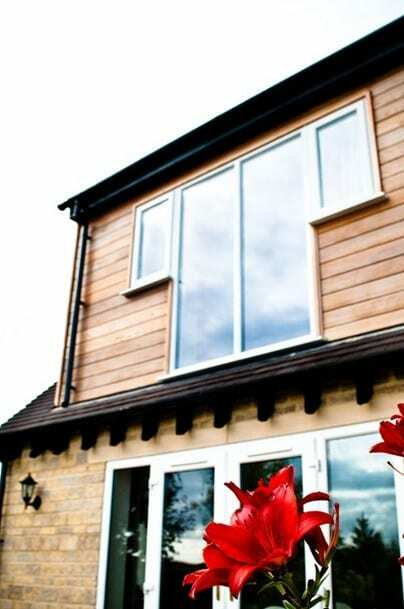 High performance glass was specified to maintain comfortable conditions throughout the year.